We take our work seriously. Between deadlines, proposals, conference calls, client meetings, and jam packed schedules our days can pass by in a blur leaving us exhausted and unable to focus. Here at AdvantEdge we strive to provide amenities and workspaces to help you balance your busy schedule and also listen to your body. Continue reading for a few tips you can start today to help put that pep back in your step! As science continues to expose the dangers of prolonged sitting, there are many ways to move more throughout the day to feel rejuvenated and refreshed. A standing work desk can help you move more, build strength, and improve your posture. Standing throughout the workday or taking frequent laps around the office also burns extra calories and helps keep your metabolism up. If standing is not an option consider an exercise ball. Even for short periods of time, exercise balls allow you to work your core strengthening your abdominals and your back muscles. During a busy day, it’s easy to forget to take a few minutes to clear your head. A good way to help stay focused is to do a few stretches against your desk or chair. Even a few minutes will help you relax before a big meeting or help you de-stress after a difficult project. At our Downtown location, feel free to use the massage chair, even if just for 10 minutes, to help rejuvenate and keep you focused on the day ahead. Mental health is just as important as physical health! During the day, especially between meals, it’s easy to snack mindlessly without realizing the volume of food or the type of foods you are consuming. Keep some small portioned snacks in your desk drawer. It’s easy to buy a large bag and split it into smaller containers. If you treat your snack like a meal, and portion it appropriately, you are less likely to overeat. Protein rich snacks like yogurt, nuts, hardboiled eggs, and roasted chickpeas will help nip cravings for sweet treats in the bud. It is also important to stay hydrated throughout the day. Trade in your coffee and sodas for water, seltzer, coconut water, or herbal teas. How many healthy habits are you exercising throughout your workday? Consider incorporating a few of these tips into your daily routine to stay energized and healthy in the workplace. By taking the time to rejuvenate and refuel your body you are setting yourself up for healthy habits and business success! 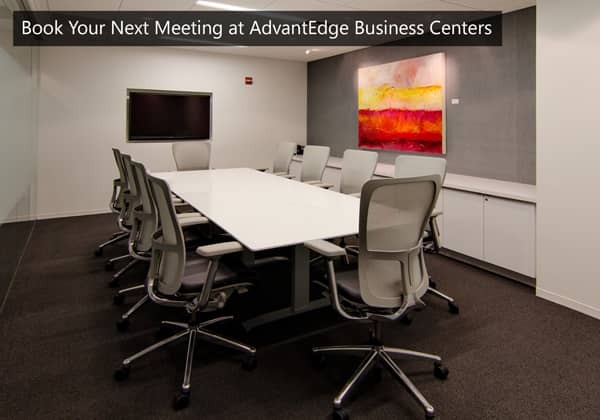 Click the button below to schedule a tour and find out how AdvantEdge can help you work well. 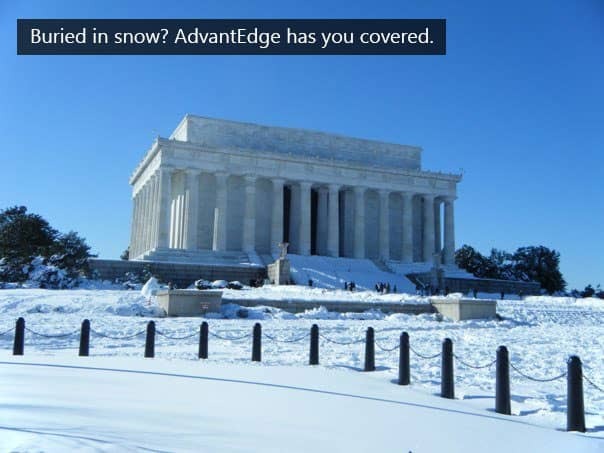 Weatherproof Your Business with AdvantEdge! How Our Meeting Rooms Help you Close the Deal!